Product prices and availability are accurate as of 2019-04-22 16:19:32 EDT and are subject to change. Any price and availability information displayed on http://www.amazon.com/ at the time of purchase will apply to the purchase of this product. Mr. Gasket Cataclean is a fuel and exhaust system cleaner that reduces carbon build-up and cleans your vehicle's catalytic converter, oxygen sensors, fuel injectors, and cylinder heads. 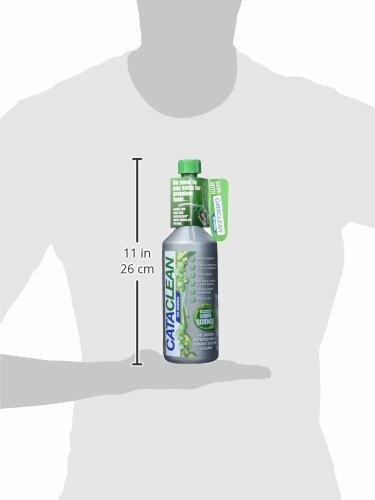 Cataclean does not alter fuel composition and is safe for gasoline, diesel and hybrid engines. Testing at an independent emissions testing facility showed using Cataclean can lower your total hydrocarbon emissions by up to 50 percent (performance results are dependent on driver habits and vehicle condition). 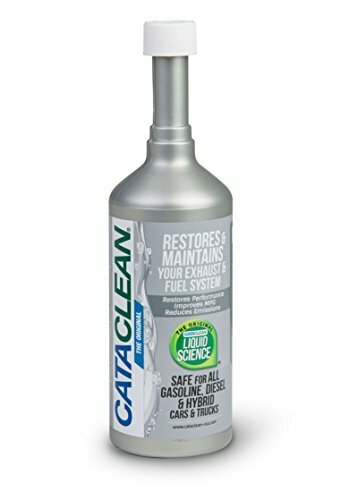 Use Cataclean to fix drivability issues such as power reduction, hesitation and hard starts, as a pre-treatment before an emissions test or to extend the life of your vehicle engine. Using Cataclean may help to avoid the replacement of costly oxygen sensors or your vehicle's catalytic converter. If you have to replace your catalytic converter, use Cataclean with the installation to extend its life. 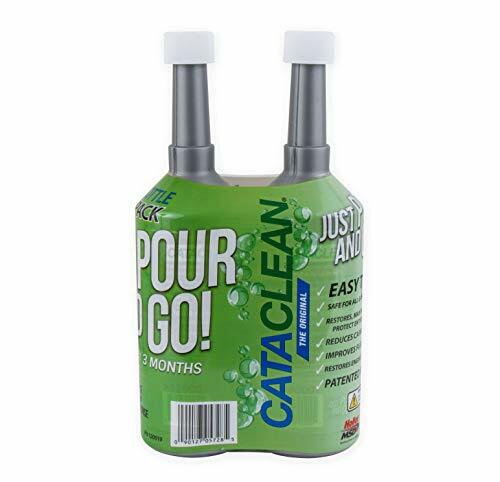 Cataclean is easy to use-simply pour in your fuel tank. Cataclean is 50 state legal and complies with VOC (including California) and OTC regulations, as well as Federal low sulphur content requirements for use in diesel motor vehicles and non-road engines. For optimum performance and protection, use Cataclean four times a year. Made in the USA.